The town was once known as Zollicoffer's Mill after Alabaman Edwin Zollicoffer settled here around 1848 and built a cotton gin and grist mill. He was joined by fellow Alabamans after the Civil War - and one of these built the town's first store. A post office was granted in 1878 and the name of a prominent citizen's daughter was submitted - and approved. 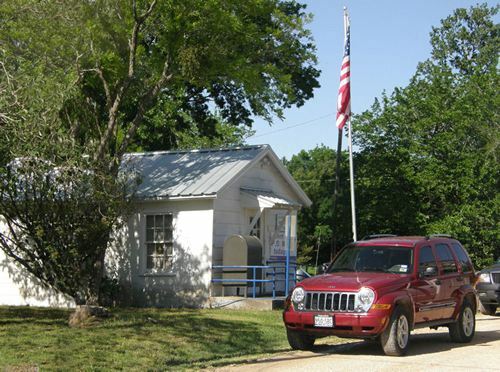 A school was built in the late 1870s, and by 1884 the town had four separate businesses. By 1896 there was a population of 100 with ten businesses. The railroad (I.& G.N.) arrived in 1903. The Smith Land and Improvement Company, a subsidiary of the railroad, replaced many of the town's wooden buildings with fire-resistant brick buildings. The population increased from 132 to 400 between 1900 and 1920. From 1930 to the mid-1950s the towns population was reported as 267. Businesses decreased by 33% and by the late 60s there were only 100 Ireneans. The estimate has remained at 160 since the 1970s.